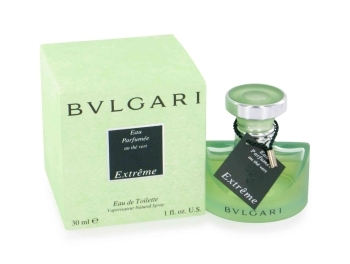 Introduced by the design house of Bvlgari in 1997 BVLGARI EXTREME Green is a sharp oriental fragrance. This perfume has a blend of green tea orange and spice with lower notes of rose jasmine and aromatic woods. It is recommended for casual wear.